RM&T is Denver's #1 radon mitigation and testing providers. We service Denver, Colorado and all of the surrounding areas. RM&T gets the job done right the first time. We strive for our excellent customer service, and satisfaction is guaranteed. With over 20 years of experience, our technicians are primed to give you top-notch quality service. Our affordable radon mitigation systems give you the most bang for your buck. We are competitively priced with other radon companies. With our excellent service, we will be the absolute best choice for you. 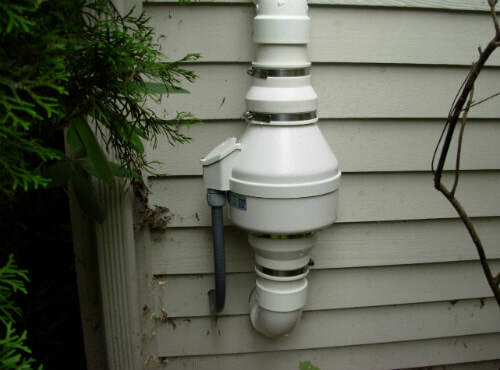 ​Why Should I get a radon mitigation system? Did you know that radon is the 2nd highest cause of cancer besides smoking? That is a fact determined by the Environmental Protection Agency. That's why it is essential that your house is radon free so that it can be safe for you and your family to live. ​Radon gas levels in Colorado are at an all-time high. If you do not know if you have radon existing in your house, you should get it tested by certified professionals. No worries. We can take care of that. Our technicians will service your home and perform pinpoint accurate radon tests to check for signs of unhealthy levels. Safe radon levels are around 1.0 pCi/L. If your radon levels are 4.0 or higher, you should fix it immediately by having a radon remediation system installed. Our radon remediation systems are top quality and are ahead of the curve in technology. No project to too big or small for RM&T. We are Denver's finest radon system installers. Our radon remediation cost is very competitive. How does radon remediation work? 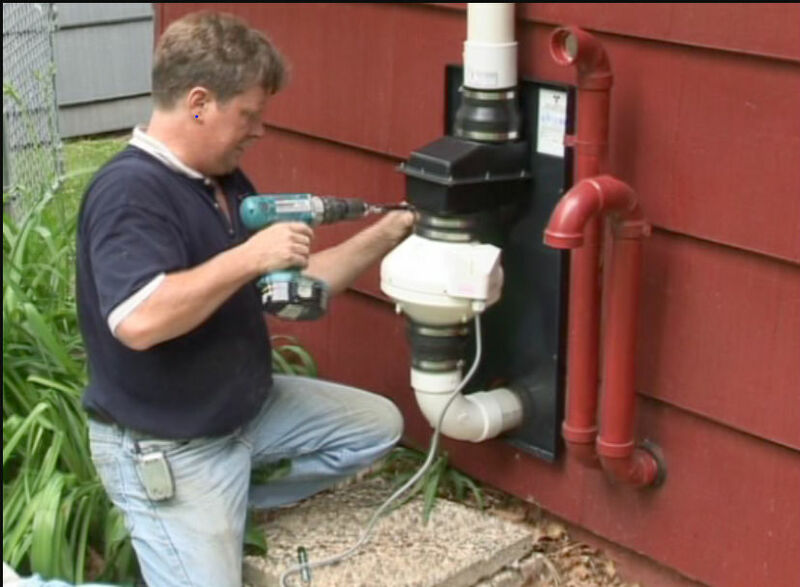 So, what is a radon mitigation system? Radon removal systems draw contaminated air out from under your basement and remove the radon gas out of the exterior of the house. 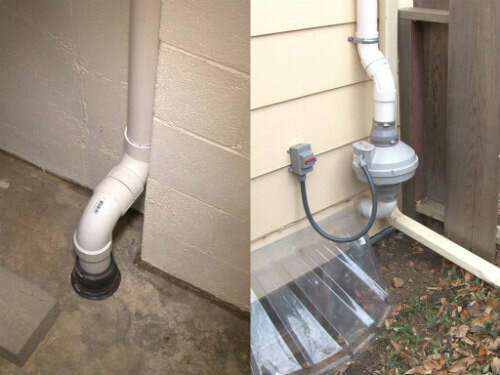 The radon gas removal system uses PVC piping that connects to a heavy-duty fan to eliminate radon fumes. This system will drop your radon levels dramatically. You cannot get rid of this gas all together, but you can minimize the levels to the point that is harmless to your family. Give us a call and keep your family safe from deadly radon. ​Peace of mind - Radon testing is the first step to knowing if your home is contaminated with it. How would you know if you’ve never been tested right? With that said, our highly trained technicians will come out to your home and perform high-quality radon testing. ​Unlike the low quality, over the counter tests, our devices comply with all state testing standards and are incredibly accurate when detecting radon gas. Radon system installation cost can vary because no installation is the same. So how much does radon mitigation cost? Prices will be determined by the overall size and design of your house. Our service providers are rigorously trained to adapt to any installation situation they come across. Sometimes we may have to run the pipes up from the basement and keep the fan inside or outside. We may have to navigate the system’s PVC tubing around obstacles in your home. We will discuss with you what would be the best way to install your system both practically and cosmetically before RM&T starts the job. Just because you have a radon mitigation system in your home does not mean that it has to be ugly. We will work with you to achieve the best appearance possible. We would also seal up any cracks in your basement so that radon gas cannot seep through your walls from the outside. RM&T also completes a 48 Hour, post radon mitigation test to ensure safe levels are continuously running throughout your home. ​There's nothing worse than someone showing up in your home with a bad attitude. Here at RM&T, you're guaranteed not to have those problems. Our staff is customer service oriented before anything else. They go through intensive training at our facility to give our customers the best experience possible. ​Our radon remediation systems come with a warranty, so you don't need to worry about it breaking down on you and spending money on an unnecessary expense anytime soon. Our qualified technicians will come out and fix your system for free as long as you're under our warranty. Call RM&T today for the best radon removal service in Denver. We offer the best bang for your buck with our radon mitigation system cost. Lowering radon levels takes a high level of technical skills. Get a certified professional on the job. Radon system installations are state-regulated and should not be a DIY job. Matters could be made worse if installed by an unlicensed technician or the local guy down the street. You wouldn't want to put the life of your family in the hands of anyone with a nail and Hammer right?. ​Are you in the beginning stages of buying or selling a home in Denver? We will work with your home inspector to perform mitigation in the Denver, Colorado area. We are a local business which means that we get to you faster than anyone else if you suspect your home of being contaminated with radon. We are right next door in Colorado and are a phone call away. Don't wait until your radon issue gets out of hand. Time is precious in situations like these, and you don't want to waste it inhaling deadly toxins. Call us now!